Custom upholstered 96-66H King headboard w/ rails by Lee. 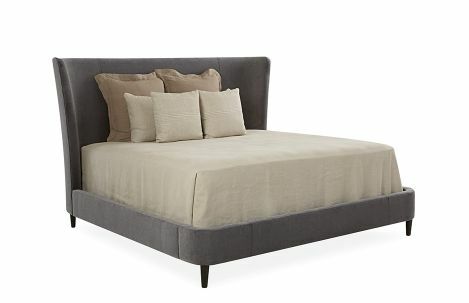 Upholstered king headboard with rails on tapered wooden legs. French seam on rails. Welt trim on headboard. Available in fabric or leather.